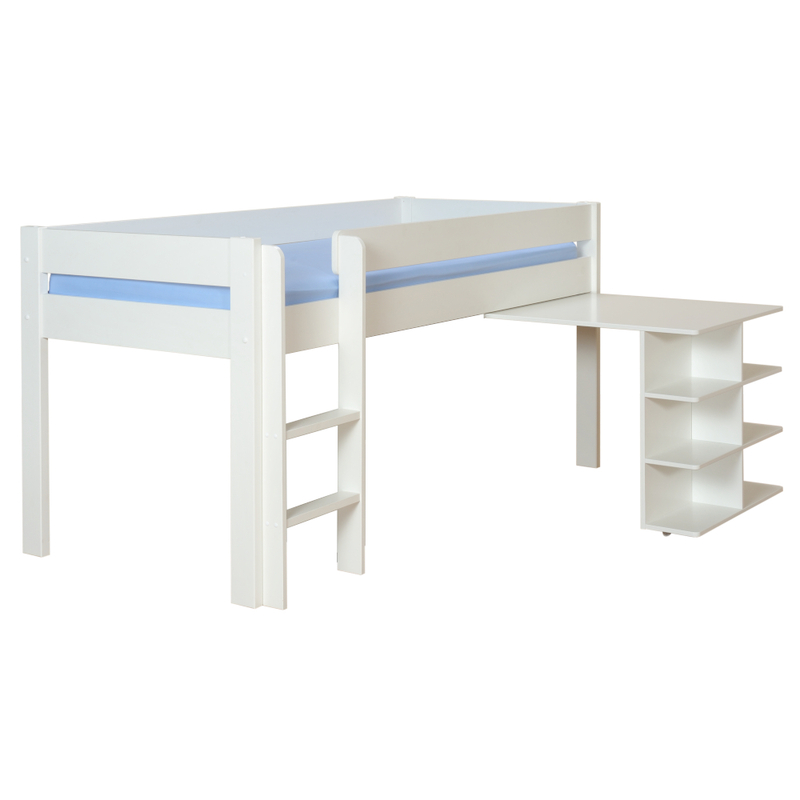 This Midsleeper combination incorporates a useful large Pull Out Desk whilst still leaving room for other storage or a den area underneath the bed. 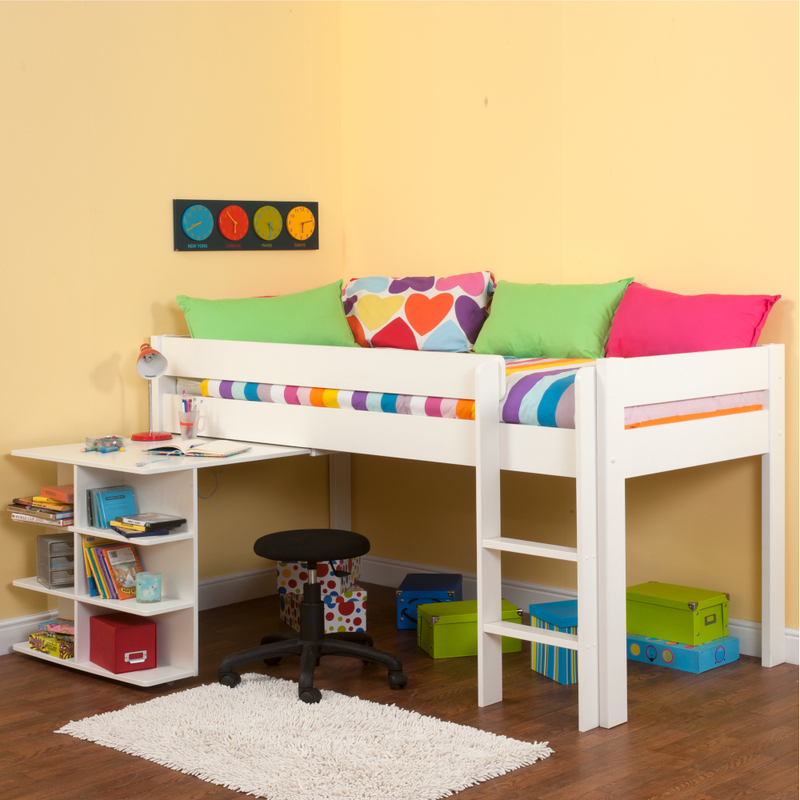 A great bed for little artists who like to draw and do their homework using their well designed work station desk which can be kitted out with pens, paper and all stationeries needed on the shelves and then be pushed under the bed when not in use. Pull Out Desk produced in hardwearing MDF with soft rounded corners. Includes Uno Midsleeper with Pull Out Desk. Incorporates Midsleeper bed with Pull Out Desk on castors. 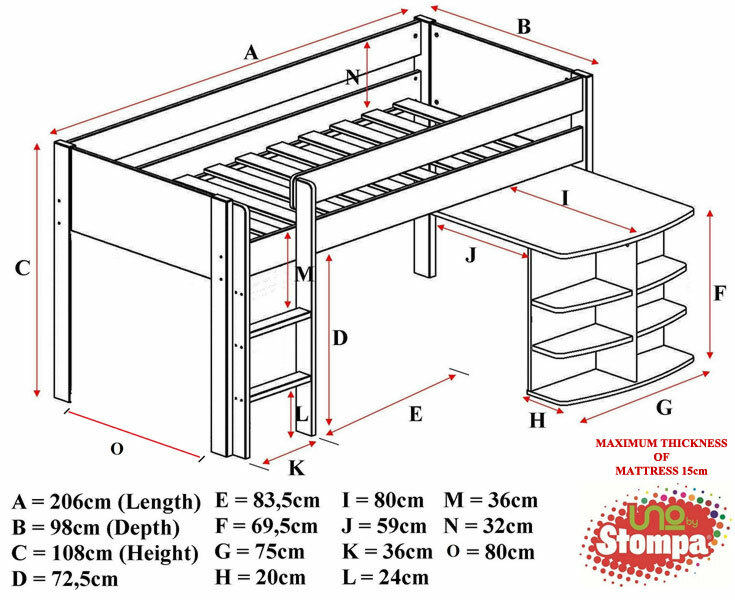 To view the technical line drawing specifications for the Uno 1 White Mid Sleeper Frame + Pullout Desk please click on the following link.